Just finished taking a stroll through “My Cherokee Garden” and had a wonderful surprise. 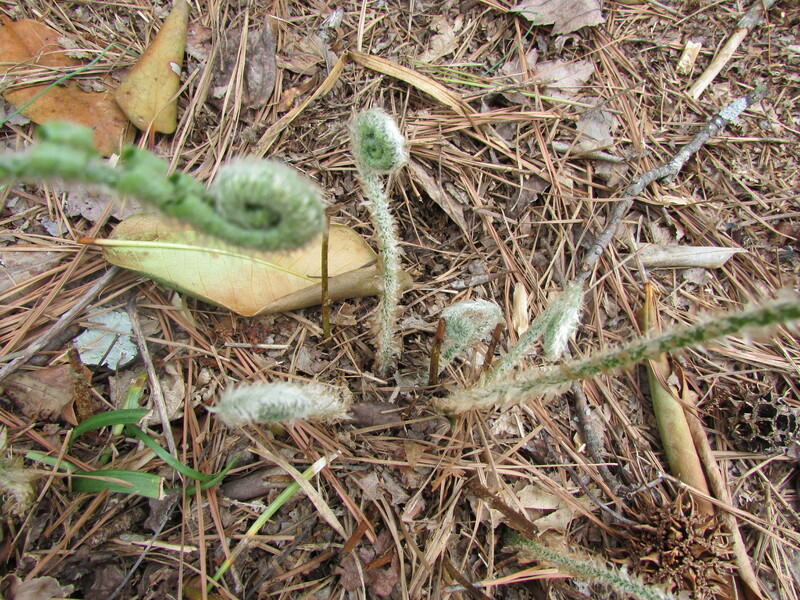 Many of the fern fiddleheads were emerging from their dormancy. The Cherokee would eat the fiddleheads (new fern sprouts) as an early vegetable. After a long winter they would collect the fiddleheads and saute them. Fern fiddleheads were a great source of vitamins and nutrients. They are called fiddleheads by the Europeans because the new growth resembles the shape of a violin’s scroll. Have you tried them? I’m very curious to what they taste like. eaten in the spring in Europe. I will have to get out one of our European cookbook to see if I can find a good recipe. Cherokee ate for nutrition and taste was secondary. I have tried several things but found most were bland and some were bitter. 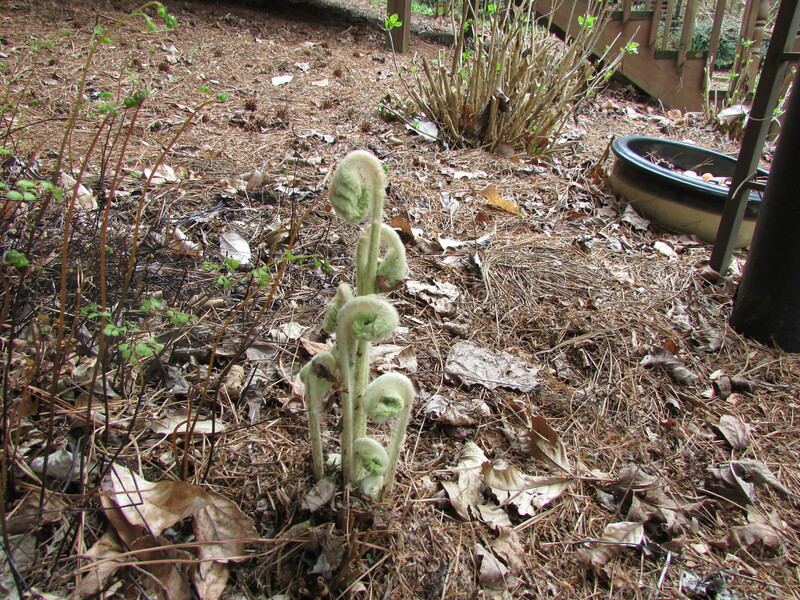 One of our blog readers asked if we have eaten the fiddleheads. We have not tried them but I need to get out our french cookbook to see how to prepare them for our contemporary taste buds. Today our food palette is so different from the Native Americans of 19th Century. The Cherokee primary concern was nutrition and taste was secondary.